Douglas Tallamy, author of Bringing Nature Home: How Native Plants Sustain Wildlife in our Gardens, one of the best books ever written on how the food web works in our gardens, is coming to our part of the world. He will be the keynote speaker at the Annual Western Massachusetts Master Gardeners Association Spring Symposium scheduled for Saturday, March 16 at Frontier Regional High School in South Deerfield. In his book Tallamy powerfully and engagingly explains how important our small personal gardens are to maintaining the necessary biodiversity of plants, insects, butterflies and birds that make our gardens beautiful and healthful. In his talk, and in his book he makes it clear that we gardeners have an important responsibility to help maintain the ecological balance in our world. While we often talk about including plants that birds can eat in our gardens, we don’t stop to consider that 96% of our North American bird species feed insects to their young. Therefore in order to attract and feed the birds, we need to have a garden that includes the native plants that attract insects. Several of the other presentations on the program will give additional information that will inspire us and help us to make sure our gardens attract pollinators, and provide food for the birds and butterflies that are such welcome adornments to our garden. Ellen Sousa, author of The Green Garden: A New England Guide to Planning, Planting and Maintaining the Eco-Friendly Habitat Garden, will talk about Habitat Landscaping that will cover not only the food needs of birds, but the shelter and housing that birds, butterflies and other wildlife need to be welcomed into our gardens. Both Tallamy and Sousa will be selling and signing their books. Master Gardener John Kingston will giving a presentation specifically on attracting birds, butterflies and other beneficial insects to your garden. We have to remember that not all insects are pests and that birds need insects to eat and thrive. 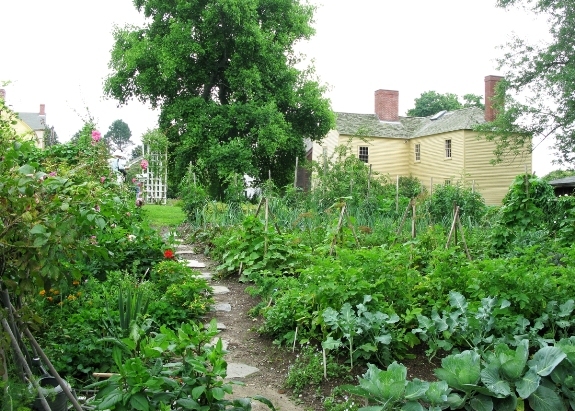 John Forti of the Strawbery Banke Museum in Portsmouth, New Hampshire will give an illustrated talk about Heirloom and Native Plants and their importance. The plants and gardens at Strawbery Bank capture a part of our history, but Forti explains that heirloom and native plants are also vital to our future and to our food security. 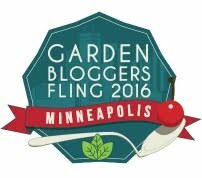 This Spring Symposium has become an important annual marker in the local gardening year. Attendees will have a hard time choosing between the eight morning and eight afternoon sessions which range from basics like making compost, to making hypertufa containers or bentwood trellises, to designing a garden for a health care setting, to the eternal favorites Denise Lemay and Mary Ellen Warchol who will be cooking up an herbal brunch in the morning and cooking with honey in the afternoon. The Western Massachusetts Master Gardeners Association is a volunteer group of trained enthusiastic gardeners who put this event on every year as part of its mission to help educate gardeners so they can have successful, healthy gardens. They offer a number of services from the telephone and email hotlines, soil testing clinics, providing speakers, and creating the Spring Symposium with programs in South Deerfield, Holyoke (April 6) and Lenox (April 13). Each Symposium has its own set of programs and speakers. For full information about the services offered go to their website www.wmassmastergardeners.org. The website also includes registration forms for each Symposium. In addition to the programs there will be vendors and book sales, as well as delicious food served. I do recommend that you register early if you want to get your first choices of workshops. Lucky you getting to hear him talk. I am just reading Bringing Nature Home. Lisa – I have written about Bringing Nature before I think it is a terrific and compelling book. Tallamy’s book had a big influence on me as well.